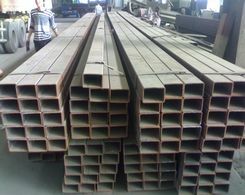 ﻿ How to Buy Welded Steel Pipes? We need to know what we really need when purchasing, and the properties of the stuffs we wanted to purchase, so does the welded steel pipes. You'd better take the properties as well as the applications of the welded steel pipes into consideration when choose which one to buy. There are some tips for you to refer to. 1. For pipelines which have high demand for peak shaving, due to the very uneven air consumption the users have, leading to frequently fluctuation of the pressure of welded steel pipes. The welded steel pipes suffer large alternating stress, and the existing gap will enlarge under alternating stress. So if you choose welded steel pipes which have many welding lines and are more likely to have defects, then the safety operation of the pipes cannot be guaranteed. 2. For pipelines which pass through the earthquake fault zones or seismic region with high intensity, as a result of frequent geological activities in these areas, it will produce longitudinal or axial alternating stress for the welded steel pipes. Because spiral submerged arc welding pipes have more welding lines, these lines are more likely to have defects than longitudinal submerged arc welding pipes. And under long-term internal stress, the odds that spiral submerged arc welding pipes happen an accident is higher than that of the longitudinal submerged arc welding pipes. Therefore, in these areas longitudinal submerged arc welding pipes will be a better choice. 3. For pipelines which is demanding to inside and outside erosion resistant coatings, it is better to employ the longitudinal submerged arc welding pipes. spiral submerged arc welding pipes have more weld beads, with surplus height of seam is longer than that of the longitudinal submerged arc welding pipes. Thus, when carrying out inside and outside anticorrosion, its combination degree of anti-corrosive material and bare pipes is less tight than that of the longitudinal submerged arc welding pipes, and it is also like that in the aspect of the anticorrosive effect. 4. For important crossing projects, longitudinal submerged arc welding pipes should be purchased. Because it is more difficult in the maintenance and management than other general lines in the future, so it is extremely necessary to buy longitudinal submerged arc welding pipes which have high performance. 5. For weak links of the pipelines, such as roasted bend pipe, longitudinal submerged arc welding pipes should be adopted. Due to its changes in direction, the internal and external force it suffers is bigger than straight pipes in general lines. Because it is affected by various factors in the process of roasting, causing its tress hard to eliminate, it becomes a weak link in long-distance pipelines. However, using the longitudinal submerged arc welding pipes with good comprehensive performance can make up for these deficiencies.